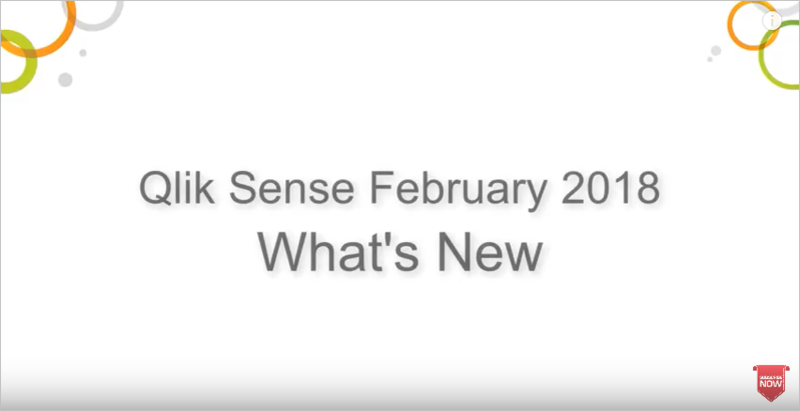 The February version of the data visualization software Qlik Sense has arrived! With the new release Qlik reacts to the wishes of many users with new features. After the big success of the Dashboard Bundle provided in the November version, Qlik now adds a new Visualization Bundle. The comprehensive package includes seven more visualization types that were previously only available as Qlik Extensions via the open source community. For upcoming releases, Qlik has announced a continuation of its enhancement package strategy. In addition, users can look forward to an improved user interface – also in the mobile area – as well as new advanced authoring features. Funnel chart – to display the progression of a measure over different stages. Sankey chart – shows measures as a flow and how they are divided into categories (single- or multi-level). Radar chart – shows a measure distributed over a polar chart with two category dimensions (one for the axes and one for areas). Heat Map – represents a matrix of color values with two dimensions and a measure. Multi KPI Object – equips standard KPI objects with more customization options. Word Cloud – highlights the most common occurrences in text dimensions. Network chart – shows a diagram with dimensions for nodes, parents and measures. With the February version, the advanced authoring features will also be further expanded. For example, the new “Share Button” allows the sharing of insights and explicit selections / filters via a direct link. The expression editor has also been equipped with a new dollar sign expansion functionality to evaluate calculation results and thus reduce the risk of syntax errors. 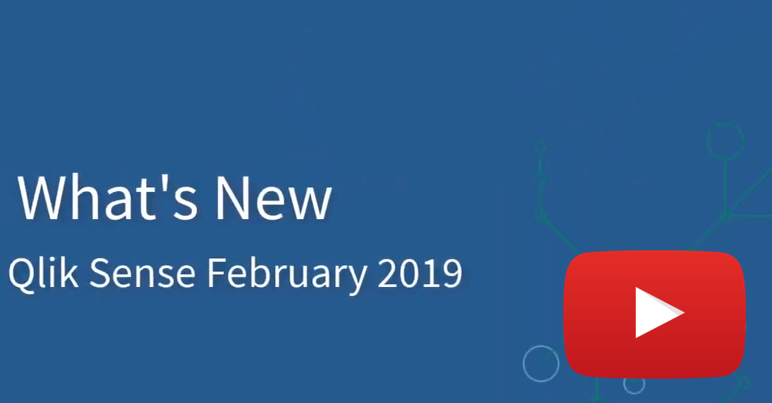 The version Qlik Sense February 2019 was also improved in terms of mobility. 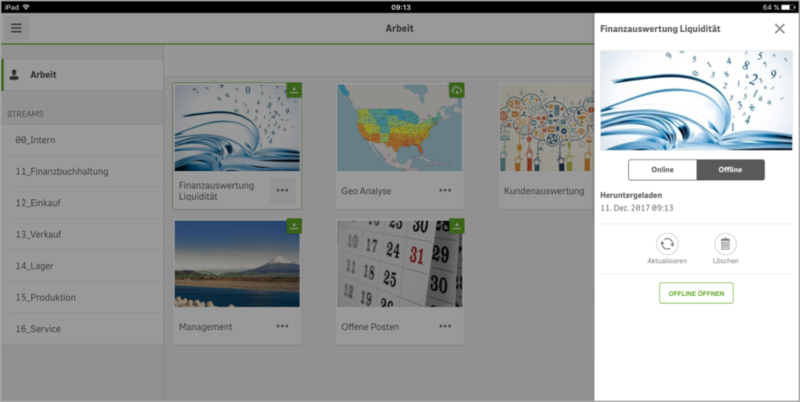 The Qlik Sense Mobile App is now also available for Android devices. The iOS version now also supports mashups. Furthermore, the functions in the EMM (Enterprise Mobile Management) area have been expanded by the support of the fast-growing EMM platform Microsoft Intune. The new Zimperium integration will provide more mobile security in the future. By the Dashboard Extension Bundle, the first standard integrated extensions made their way into Qlik Sense. The feature can optionally be installed during the update. By choosing this option, you will find five new extensions in “Custom Objects”, which are now officially delivered with Qlik Sense and fully supported. With the “Date Range Picker” you can select a single date or a range of dates from a calendar. The “Navigation Buttons” can be used to define selections and actions for the entire app. Using the “Tab Container” several tabs can be created within a Qlik Sense object in order to be able to display different visualizations or analysis views compressed for a selection. A “Show/Hide Container” extension helps to display several visualizations in an object depending on the current selection criteria. The “Variable Input” extension allows you to specify values for selections using buttons, drop-down menus and text input fields. BI provider Qlik has provided the November release of its data analysis software QlikView. The new version features some exciting new features and improvements. The new version of QlikView Publisher includes the “File Exists” task among the supporting tasks. This new supporting option can be used to trigger another task following the creation of a file. This is especially useful when the system creates files at irregular time schedules and is used to improve file creation and scheduling. A “File Exists” task completes successfully even when the corresponding file is not found, but does not trigger the following task in this case. A new QVS Engine log file is now available in QlikView November 2018 for optimized troubleshooting and document design. Because the Engine log file creates a large amount of log data, it is disabled by default and can be enabled for a limited period of time. The generated log contains DocId, ObjectId, ObjectType, NetRAM and PeakRAM, which show the user which objects in the app require the highest RAM capacity. Special new log files now provide information about task performance in a separate form. Until now, this information could be found in the task logs. The new arrangement of the log files makes it easier to reload the performance analysis and keep record which documents consume the most resources. QlikView November 2018 provides the ability to load complete tables from an SSE-plug-in by making a single request in the QlikView load script. The new QlikView version makes it possible to display all “non-default settings” applied to the respective QlikView deployment directly in the menu of the QlikView Management Console (QMC). The displayed list can be used to document all custom configurations and thus provides an ideal basis to update or migrate the respective QlikView installation. I n many companies, clean data are the base of important business processes. Analyzed data is essential – especially for new insights or as a decision-making aid. Because these data don’t come from a single internal source any longer, the possibility of integrating external data sources should always be considered at choosing data analysis software. The storage of company data has gone through a major change in the recent years. In particular, the cloud movement into many companies means that information is no longer stored at a central location, but is obtained from multiple sources. Companies often base decisions on efficiency and go for various cloud models. But the increased storage options pose a particular challenge to analytics tools, as all relevant data from the various sources must be put together without much effort. The best way to do this is to move away from data silos. Instead, the analysis software should extend across all data sources without having to migrate the data required for evaluation to a central location via various infrastructure barriers. The various information formats are also important. It should be possible to include external social media data from the cloud in the analyses also as classics like Excel. Open APIs or other connectors can be helpful, as they allow the various sources, whether on-premise or cloud, to be linked to each other without any problems. The user-friendliness of the software should also not be underrated. The combination of data should be flexible, scalable and simple in order to prevent user mistakes in data analysis and to be able to provide the required data as quickly as possible. It’s time again – Qlik has released a new version of its data visualization solution Qlik Sense. Since the last release in June, a lot has happened. 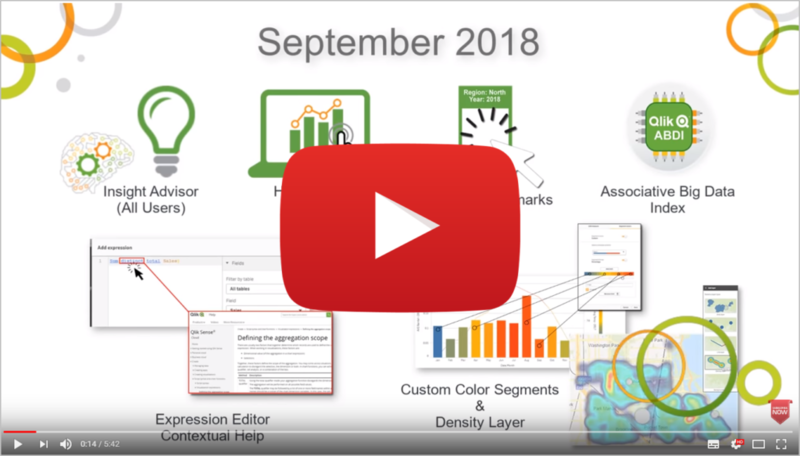 The Qlik Sense September Release offers some additional functionalities in the area of Advanced Authoring. This simplifies the creation of sophisticated data layouts while accelerating application development due to its high user-friendliness. The improvements of the Expression Editor (e.g. restructured function categorizations and improved search functions) and the visualization control (e.g. conditional show/hide in pivot tables and customizable master measures) are helpful. In addition, you can now open apps by using a default bookmark with a predefined selection state. In addition, the new Qlik Sense version offers enhanced mapping capabilities. For example, the release has a new map layer that depends on the density of the mapped points. The new “Density Map Layer” is a multicolor gradient background where the color intensity varies depending on the weight and closeness of the points. 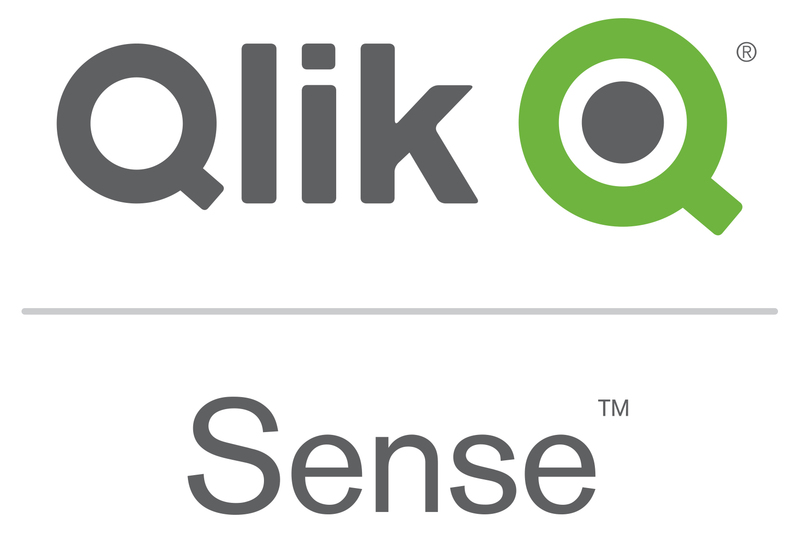 Qlik Sense September 2018 also removes several previous limitations of the Qlik Management Console (QMC) and allows, for example, to move multiple apps between different streams. In addition, the open source front-end framework has been updated to version 1.6.9 to ensure better performance and stability. With the new release, Qlik has further expanded its connectivity options with Microsoft Azure DB and Jira connectors. 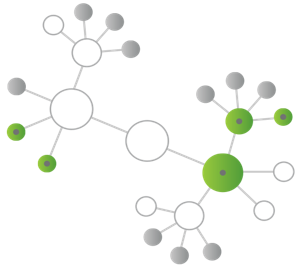 The necessary security within the integrated connector to Presto is also provided by an extension of LDAP authentication. Large enterprise environments benefit from AirWatch EMM security for mobile access to Qlik Sense Enterprise. BI vendor Qlik continues to pursue its proven release cycle, launching Qlik Sense June 2018, the latest version of its data visualization software. 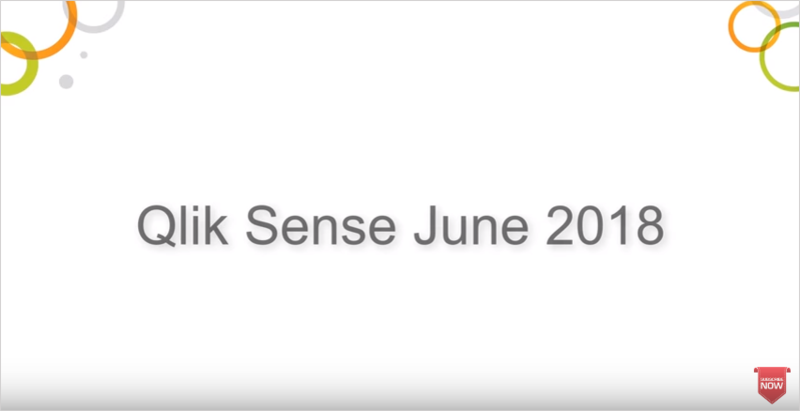 Qlik Sense June 2018 has been extended with a new Insight Advisor. The Advisor uses Qlik’s Cognitive Engine to suggest charts to users based on insights from existing and new data. The user can then use them to augment existing visualizations. The new Qlik Sense version provides enhanced capabilities to manage apps through the hub. For example, apps that have already been published can be duplicated, modified, and then re-published in the same stream as the original app. Published apps can now be found in a dedicated section. With Qlik Sense June 2018 you can create filtering conditions for the field contents in files. These are automatically applied to the script when data is loaded into the Data Manager. The release also offers some new features to create and edit visualizations. For example, the property panel now offers a number of alternative charts to complement the original chart suggestions. At the same place it is possible to switch dimensions and measures by simply drag and drop. In addition, Qlik Sense June 2018 provides the ability to show and hide specific columns in a straight table. The mini graph used for scrolling can be deactivated for line, bar and combo charts. 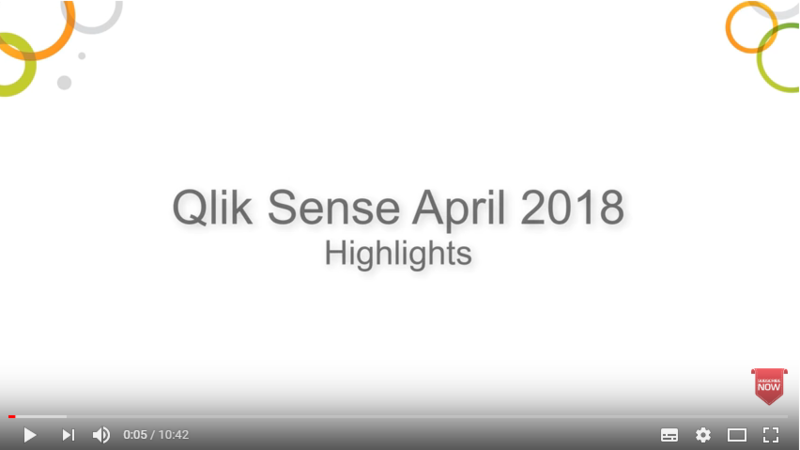 The new release of the data visualization solution Qlik Sense has been released with some new features and improvements under the name Qlik Sense April 2018. Supported data visualization with Qlik Sense recommendations Qlik Sense recommendations make it easier to create visualizations by making it possible to quickly drag and drop fields onto the worksheet. 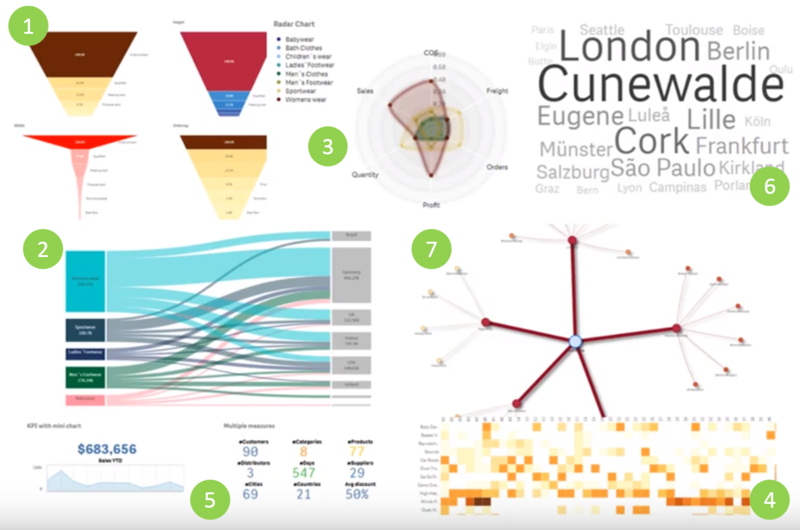 The Cognitive Engine in Qlik, which gathers insights from the loaded data and combines them with best practices for data visualization, also provides the user with chart suggestions. Qlik Sense April 2018 also offers some new features for the visualization of maps. For example, the new release supports drill-down capabilities, multiple layers and labels for point and area levels. In addition, there is no fixed upper limit to the number of objects, countries, divisions, cities and postal code areas can be looked up quickly and easily. Circle selection with distance measure, layer control, zoom limit and draw order are also features of the new release. The new version also allows the Qlik Sense Mobile App to interact with third-party mobile applications through a custom generated URL (“deep link”). The created link can be integrated into the respective external app with appropriate filters. Clicking the link opens the app in Qlik Sense Mobile with the filters and selections applied during the original presentation. In Qlik Sense April 2018, created apps can be published through any stream the user has publish access for. After publishing an app to a stream, the app can be moved between all streams the user is allowed to use. With the new release, the author of an app can choose between three different grid sizes creating a new worksheet. Available are the sizes “small”, “medium” and “large”. From now on it is possible to individualize currency abbreviations in the number format mode “automatic” – for example: Thousand, million, billion (instead of previously: k, M, B). In addition to the features listed, Qlik Sense offers some other interesting new capabilities in April 2018, such as support for keyboard navigation and shortcuts in the Qlik Sense Hub or the ability for anonymous users to print and export data. As the new release cycle claims, Qlik has published the latest version of its data visualization software Qlik Sense. The new release offers the user some improvements and features for optimized analyses, evaluations and visualizations. Apps can be styled with a custom theme on a global or granular basis now. For example, you can change the colors of background and individual chart elements, specify font sizes and colors, and define color palettes and gradients. Another innovation is the ability to use recommended associations to see possible associations between tables. This facilitates experimentation before actually applying any changes to the data model. In addition, Qlik Sense February 2018 allows the creation of on-demand app generation solutions that support anonymous use. This extends the possibilities for publicly accessible websites and OEM scenarios. Users of the Qlik Sense Mobile App will also benefit from the new release. 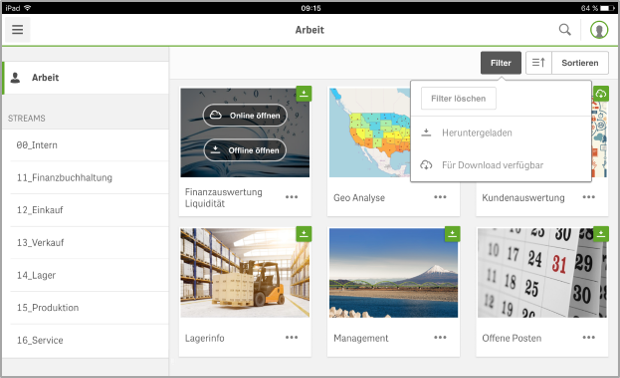 The app, which provides full access to any Qlik Sense Enterprise environment and the respective apps on- and offline, was previously only available for iPad. With Qlik Sense February 2018, the mobile app is now also running on iPhones. With the June release of its data visualization platform Qlik Sense, BI vendor Qlik introduced many new features. In addition to a revised release cycle and new features in the range of data preparation, visualization and predictive analytics, the new Qlik Sense Mobile App has been launched. The app is currently only available for iPads, but will be released for iPhones in February. The native Mobile App for iOS provides full access to any Qlik Sense Enterprise environment and the respective apps. The powerful features of the QIX engine, such as the associative search, run directly on the iPad and remain fully preserved. Using the app and doing associative data analysis is also available in offline mode. As the QIX engine runs locally on the iPad, a network connection is not necessary. After setting up the Mobile App and downloading the desired Qlik Sense apps, they can be used offline (e.g. in flight mode or if no Wi-Fi connection is available). Information box about the online / offline mode of the apps. Filtering for dowloaded apps and apps, which are still available for download. 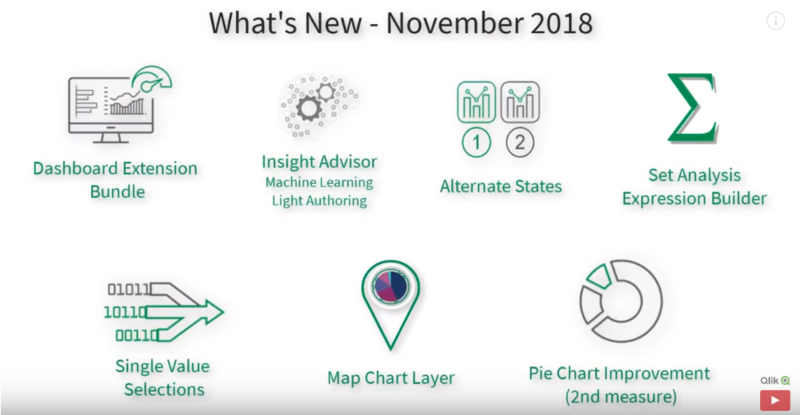 Around two months since the last release in September, Qlik has introduced the latest version of its data visualization solution Qlik Sense November 2017. The visualizations of Qlik Sense November 2017 have been improved and extended. Among other things, users are now able to scroll horizontally in a table, vary bubble sizes and use an expression to set the color of distribution charts and box plot diagrams. Moreover, data can be added and refreshed in the sheet editor without having to switch to Data Manager. In Qlik Sense November data can be manually entered in Data Manager. Manual entry allows data to be added directly into a table editor and subsequently as a table to Data Manager. A details dialog now views the sequence of changes performed on selected tables and fields. This allows the user to directly identify the source of the table or field, the current changes and transformations that have been made, as well as the order in which they have been applied. It is now possible to navigate by using the keyboard within the app overview page and the Qlik Sense toolbar. 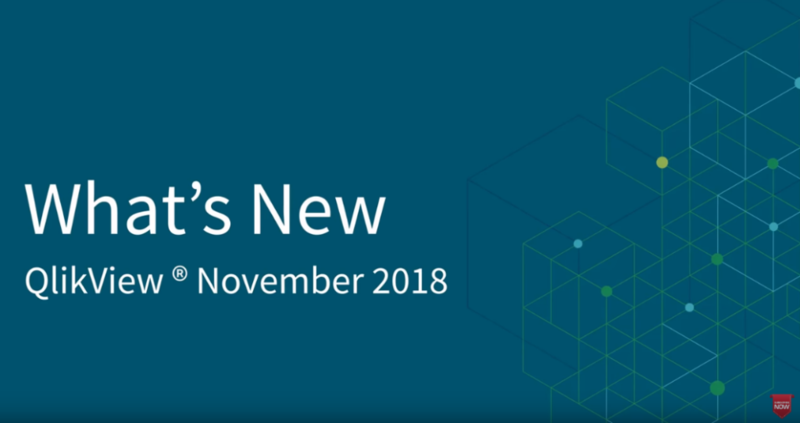 Alongside launching the new Qlik Sense version, Qlik also introduced the November releases of its QlikView and Qlik NPrinting solutions, which predominantly contain technical improvements.